Poster calendars are the perfect visual reminder and productivity tool to help you get through the day, week, month or even the whole year. Printed on 100lb Book Paper, a text weight stock that is lightweight but durable. We coat all of our posters in Aqueous Coating for better scuff protection. Gloss finish instantly grabs attention while the Matte finish softens the appearance. Multiple size option lets you decide on how much space you have to design. The smaller the poster, the less space you have for an image, while the bigger the poster, the more space you have to play with. For even distribution of graphics and calendar, we choose 18" x 24" as the ideal size. 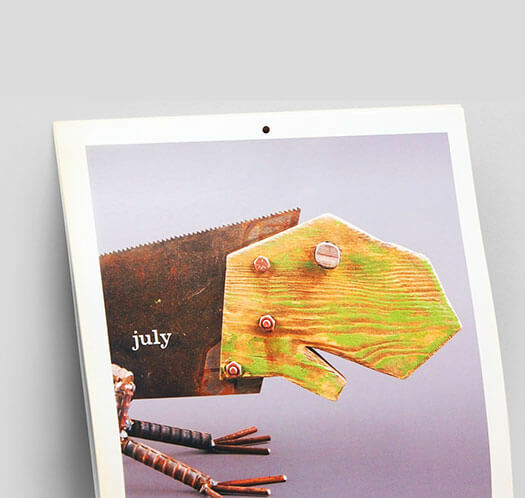 Persuade your customers to use your calendar and look at them all year by incorporating a unique design or image, a powerful message or combination of both. This way, you are able to instill your corporate message and increase brand awareness. Unlike booklet calendars, posters provide an overview of the entire, giving your customers the ability to view what events are coming at a glance. Use this opportunity to highlight the dates of your company promotion throughout the entire year so they never have to miss a thing. Not all projects are created equal. For a one-of-a-kind take out menu made just for you, speak with one of our product specialists.